Buffalo misses Dave Brubeck, who used to come often to our town. It was sad to lose him in December 2012, a day before his 92nd birthday. Brubeck’s wife, Iola, died a little more than a year afterward. This disc, anchored by their drummer son, Dan, is a heartfelt tribute to both of them. Dave and Iola Brubeck’s careers were intertwined in various ways. Not only did she write lyrics for his songs, but, as Dan writes, she actually influenced jazz, by bringing it out of the nightclubs and onto college campuses. She also helped with his religious music, researching and distilling texts. The lullabylike “Ode To a Cowboy,” the early song “Weep No More,” the excerpt from Brubeck’s 1979 “Mass: To Hope!” called “The Desert and the Parched Land” … we should hear these songs more, I kept thinking. Jazz singers should sing these more in clubs. Classical singers should put them into recitals, too. Though most of these songs were performed for the first time by Carmen McRae, “Strange Meadowlark” also was sung by the great mezzo soprano Frederica von Stade. The performances here are lovely, and make such a strong case for the music. They are not overbearing or grating. The saxophone solos, by Steve Kaldestad, are brief and eloquent. Tony Foster’s piano is modest and graceful. 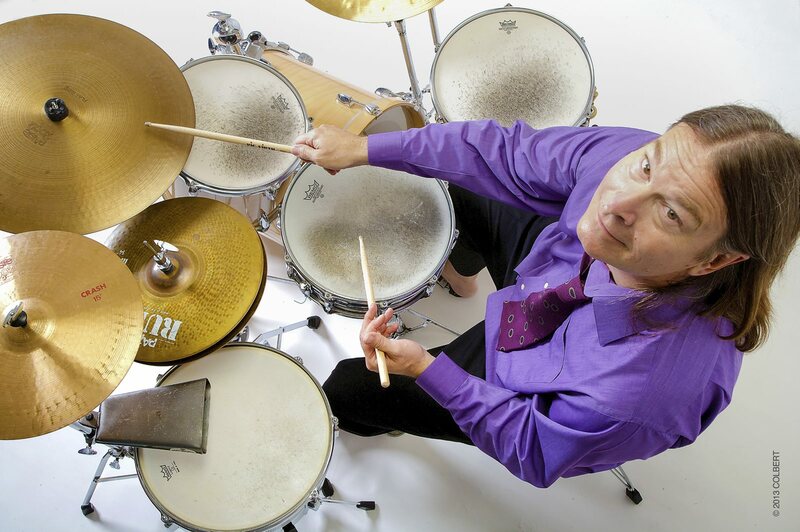 Brubeck doesn’t shove his drumming down your throat. And bassist Adam Thomas has a sweet, laid-back, hipster style of singing. The whole project endears itself through its lack of pretentiousness. So much like Brubeck himself – and his wife, too, I imagine. I never met her, though now I feel I have. You have to figure that the separate peace with Cuba that the jazz world declared long ago had something to do with the Obama administration’s newfound catch-up peace with Castro’s Cuba. Americans have been thrilling to jazz from Cuba from the beginning, but post-Castro since Irakere in 1980 announced itself with a group that contained pianist Chucho Valdes, trumpet player Arturo Sandoval and alto saxophonist and clarinetist Paquito D’Rivera. The great soloists of Irakere have all been completely at home just about everywhere jazz is listened to. The great D’Rivera, now 66, was invited to a symposium in Santiago de Compostela in Galicia, Spain. While he was there, he said, he became enthralled with a quintet of Cuban string musicians living in Galicia called Cimarron. D’Rivera’s collaboration with Cimarron is what you hear on “In Aires Tropicales” and it is, in most ways, one of the more impressive discs Paquito has ever made. Obviously, when a clarinetist and saxophonist perform with a string quintet, the result will be a sonority not far from classical music. But Cimarron is so much more openly infectious and instantly appealing than that might imply. As do some American jazz string ensembles (the Turtle Island String Quartet, for instance), the sonority may be a relative of a classical ensemble but the soloing and the rhythmic snap are Latin chamber jazz of an utterly irresistible kind. A lot of the compositions are Paquito’s but everything on the disc is from Cuban composers in general. The music is delightful all the way through. When Venezuelan composer/pianist Luis Perdomo calls his trio by the chilly sci-fi name Controlling Ear Unit, no one need run away in fear. This is merely a terrific New York City jazz piano trio with Mimi Jones on bass and Rudy Royston on drums. Perdomo, at 44, is a stalwart jazz pianist in the Chick Corea/Herbie Hancock line. What is hugely impressive about him, though, is the quality of original compositions which is often so good I’d love to hear other jazz musicians playing them. With its 2012 debut “Boys & Girls,” Alabama Shakes showed much promise, especially in the form of singer/guitarist Brittany Howard, who arrived as a tower of soulful song, as if from nowhere. Howard was an absolute powerhouse, and she was impossible to ignore. That said, the group seemed to fit a touch too comfortably into the pre-existing neo-garage-soul-rock genre already occupied by the likes of the Black Keys, Jack White, et al. The Shakes were powerful, for certain, but original? Less so. Album No. 2, “Sound & Color,” changes that, and for good, quite likely. Here, the band lets its freak flag fly high, following its muse wherever that muse might lead. Howard proves to be a bold, imaginative, soul-drenched and decidedly confident singer throughout, and the band has broadened its compositional and sonic palette considerably. It’s as if the Shakes sought to throw the windows open wide, to cast off the chains of expectation, and to embrace something altogether more free-flowing and adventurous. There’s a psychedelic patina over most of the album’s 12 tunes, and it acts as connective tissue as the group follows an experimental bent, moving from falsetto-laden funk-soul (“Don’t Wanna Fight”) to progressive R&B (“Dunes”) and esoteric slow-burn (“Miss You”). The strangest of the lot is certainly “Gemini,” a six-plus minute slab of space-rock that at first blush seems to meander a bit too far from home, but after repeated listenings, reveals itself as a trippy multipart masterpiece, as gauzy Fender Rhodes drifts through the mix, and Howard brings an almost alarming sensual intimacy to the party. Hawkwind meets neo-soul and gospel? Why not? The stylistic leap between its debut effort and “Sound & Color” is an immense one, but the band manages it incredibly well. It’s as if “Boys & Girls” was just a warm-up. Now, it’s game on.